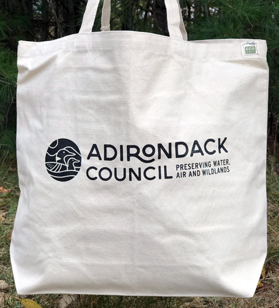 Shop at your local farmer's market with our eco-conscious tote bag featuring the Adirondack Council's new loon logo. Double sided print. Made with sturdy 10oz. 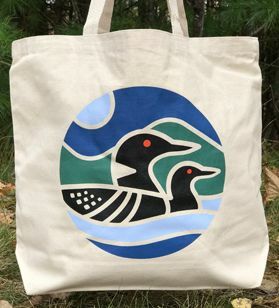 cotton canvas.